The European Parliament has adopted the new Copyright Directive. This includes the widely contested Article 13, which was renumbered to Article 17 in the final text. Pirate Party MEP Julia Reda sees it as a "dark day for Internet freedom," but many copyright holders are happy with the result. In 2016, the European Commission first announced its plans to modernize EU copyright law. Initially, the plans received little mainstream attention, but over the past year that changed drastically. At the same time, many rightsholder groups, publishers, and other members of the creative industry embraced the proposals. They saw it as a much-needed lifeline to ensure fair remuneration on the Internet. Today, the European Parliament voted on the final text of the proposed Directive. First up was a proposal to reject the entire Copyright Directive. This was rejected with 443 votes against and 181 in favor. A subsequent vote to allow amendments to the text of the directive was also rejected, although that was very close with 317 in favor and 312 against. Parliament then moved on to vote on the entire text of the Copyright Directive without any changes, including the renumbered Article 13 and Article 11. With 348 Members of Parliament in favor, 274 against, and 36 abstentions, the Copyright Directive was adopted. The decision comes as a major disappointment to Pirate Party MEP Julia Reda, who has been one of the most vocal opponents of the Copyright Directive. Earlier today she urged her colleagues to reject the plans and moments ago described the outcome of the vote as a “dark day for internet freedom.” Reda, who’s the Vice-President of the Greens/EFA Group, says they will continue to fight against this new European law. “The new copyright law as it stands threatens a free internet as we know it: Algorithms cannot distinguish between actual copyright infringements and the perfectly legal re-use of content for purposes such as parody,” Reda notes. “Obliging platforms to use upload filters will lead to more frequent blocking of legal uploads and make life difficult for smaller platforms that cannot afford expensive filter software,” she adds. Article 13 (now 17), requires many for-profit Internet platforms to license content from copyright holders. If that is not possible, they should ensure that infringing content is taken down and not re-uploaded to their services. Many rightsholder groups are pleased with the outcome. Frances Moore, CEO of the music group IFPI, was quick to thank lawmakers for their efforts and is looking forward to seeing the changes implemented. “This world-first legislation confirms that User-Upload Content platforms perform an act of communication to the public and must either seek authorization from rightsholders or ensure no unauthorized content is available on their platforms. “The Directive also includes a ‘stay down’ provision requiring platforms to keep unlicensed content down – another global first,” Moore adds. 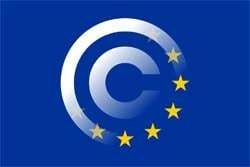 With support from the European Parliament, the Copyright Directive will now be sent to the Council, which has to formally adopt the law. This is likely to take place in two weeks, on April 9. There still is a chance that a member state such as Germany withdraws its support in the Council, which would mean that further negotiations are required. This could introduce delays beyond the European elections on May 23, 2019. If the Copyright Directive is adopted by the Council, EU member states will have to implement the text in local legislation. This won’t happen right away could take up to two more years.